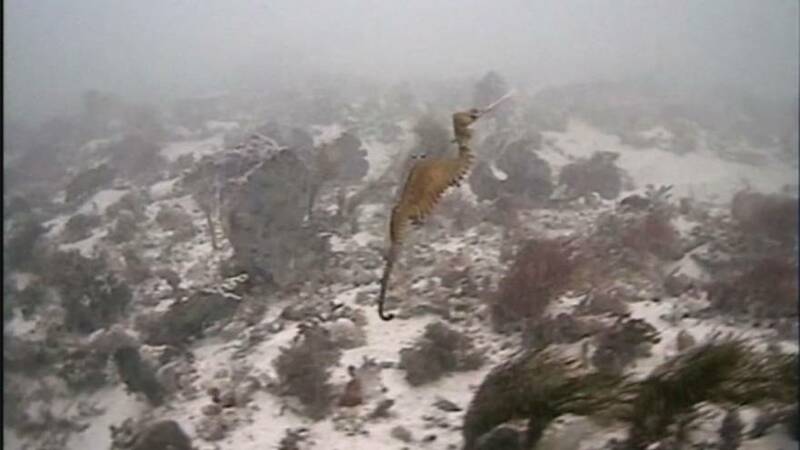 The ruby seadragon, a new species of animal, has been filmed alive for the first time by researchers at Scripps Institution of Oceanography, University of California San Diego. The footage, which was captured off the coast of Western Australia in April 2016, was released as part of a study published on Friday (January 13). Previously, the only samples of ruby seadragons were ones that had washed ashore. Scientists had hoped to find the fish in the wild to confirm that it lacked leaf-like appendages – a feature that would separate the ruby seadragon from the two other known species.